Photographer, scientist, engineer, husband, and friend John Chervinsky passed away earlier this week, shifting his energies into uncharted territories and leaving behind a significant and inspiring photographic legacy. 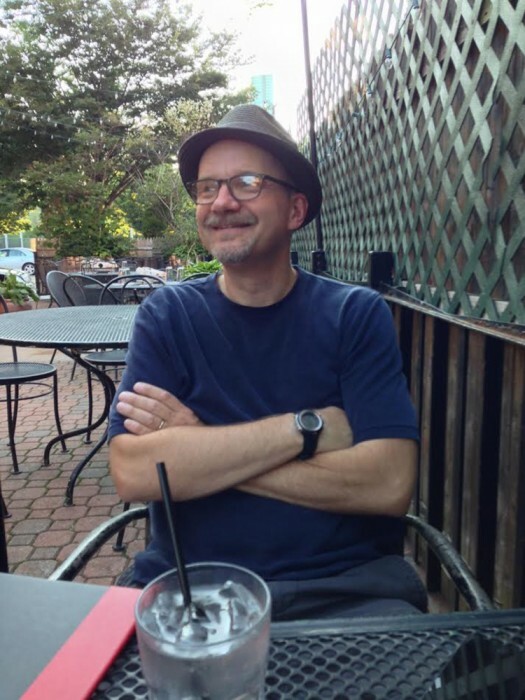 He also leaves behind a community of friends and colleagues who so appreciated and admired him. John had been battling cancer for some time and he occasionally shared some of his journey on Facebook, each post allowing us a window into his challenges and a place for us to cheer him on and hopefully provide solace. But he didn’t share everything. His privacy and dignity were important to him. John lived a rich life with his wife Kirsten (and dog, Little Walter) in Somerville, Massachusetts. His love of science permeated throughout his photography and career as an engineer at Harvard. 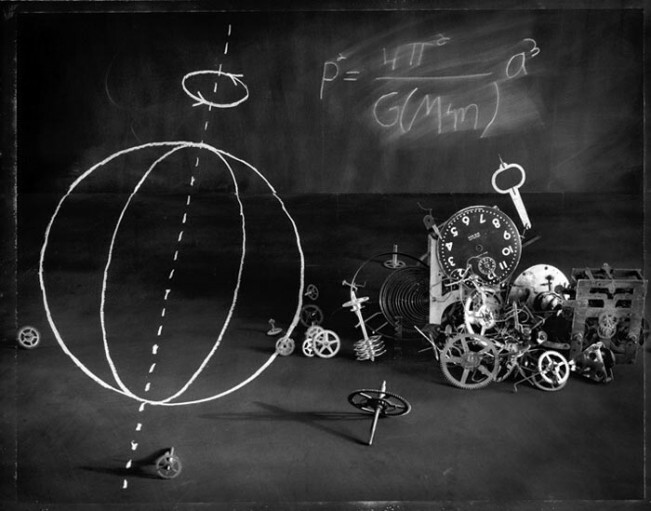 A self-taught photographer, John brought a host of visual, intellectual, and scientific tools to his work. He was an engineer working in the field of applied physics at Harvard’s Rowland Institute for Science, originally founded by Polaroid’s Edwin H. Land. John spent eighteen years running a particle accelerator at Harvard University and collaborated with Museums, using accelerator technology in the analysis of art. 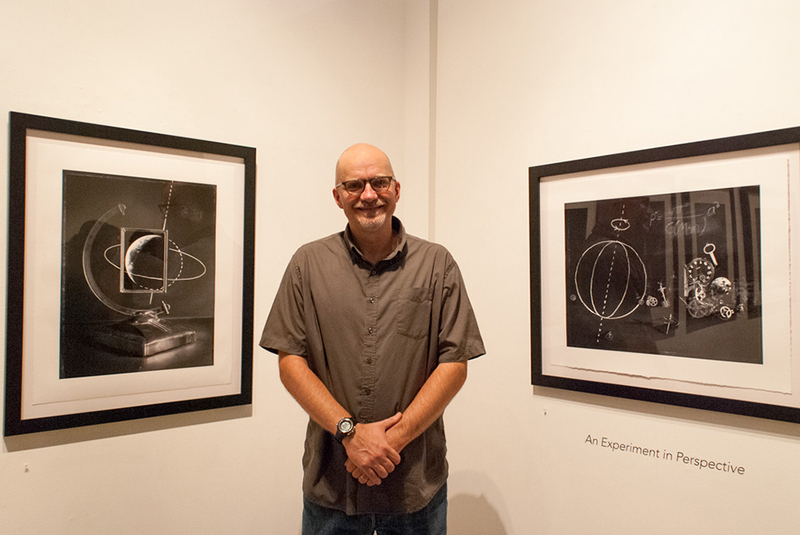 As a photographer, John exhibited widely in both solo and group exhibitions. He was awarded numerous grants, and his work is held in public and private collections including the Museum of Fine Arts, Houston; Museum of Art, Portland OR; and Fidelity Investments Collection. His photographs have been featured internationally in publications including LeMond, South Korea’s Photo+ and The Los Angeles Times. 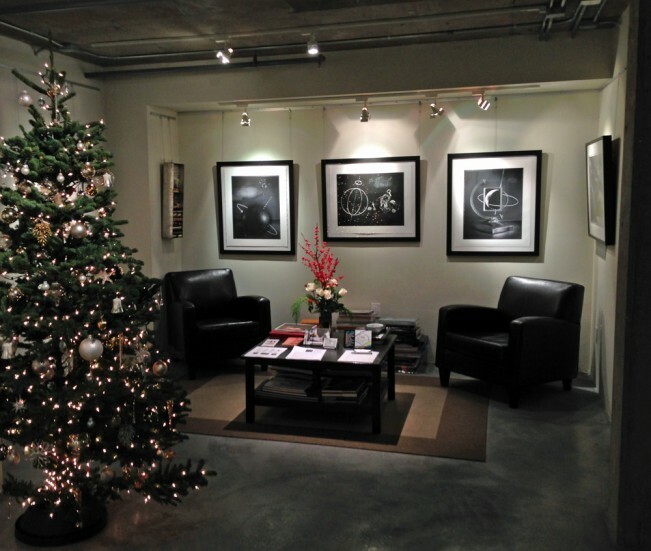 John created three significant bodies of work, and I will share select images of throughout this post from all three. His first series, Landscapes and Portraits, reflect his beginnings as a photographer. 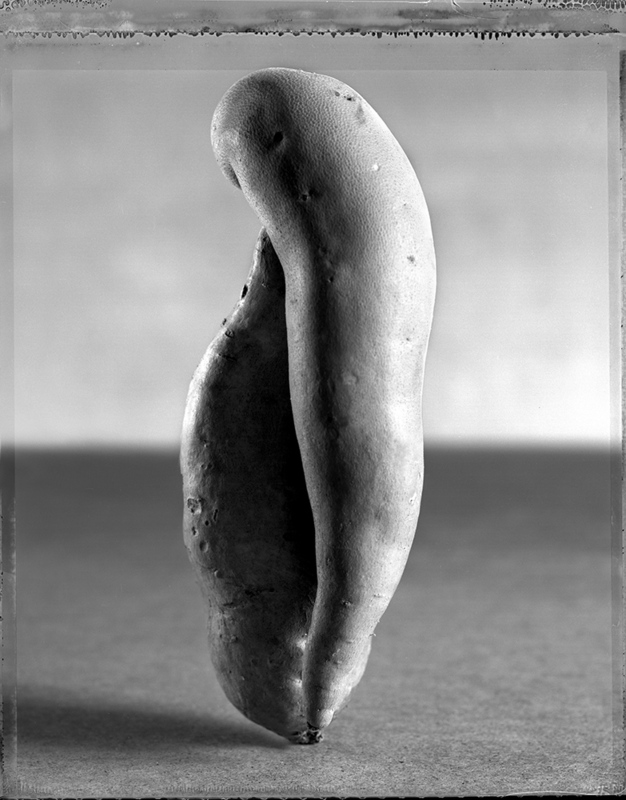 His exploration of the lowly yam elevated this simple root vegetable into considerations of space and perception, beauty and form. 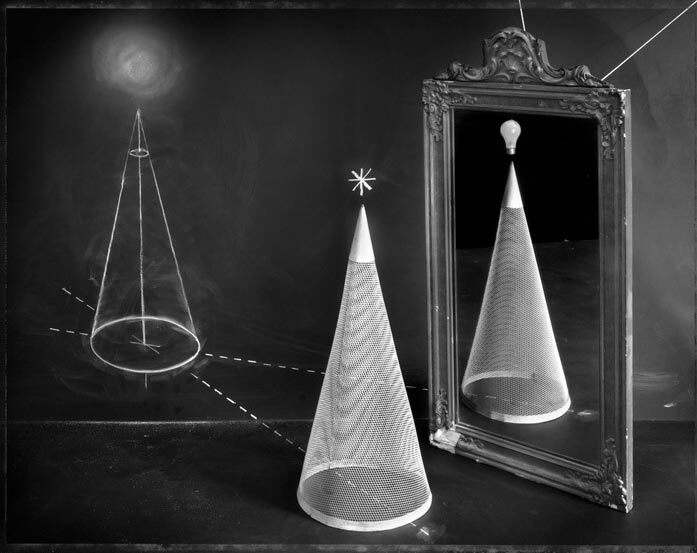 Since it first opened at the Griffin Museum of Photography in 2005, his second series Experiment in Perspective has traveled the country including solo exhibits at Fermi National Accelerator Laboratory Art Gallery, Batavia IL, Michael Mazzeo Gallery, NYC and Blue Sky Gallery, Portland OR. Today, some of John’s friends and colleagues share their thoughts and memories of this very special man. Board members are always giving me names of photographers that they want me to meet. So it happened in 2005. One very smart astrophysicist board member came to us one day with the same request. Blake Fitch acquiesced, and that is how I met John Chervinsky. Needless to say, he blew us away with his hand-made portfolio box and “CaCO3” (the chemical symbol for chalk) prints that invited us into his real world while we pondered the imaginary. Blake offered him an exhibition on the spot. 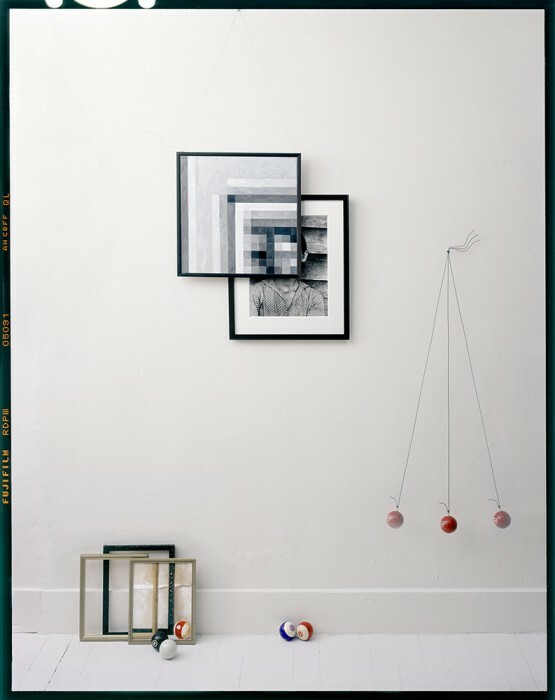 John Chervinsky exhibited in the Emerging Artist Gallery of the Griffin Museum from July 12 – September 2005 at the same time Maggie Taylor exhibited in the Main Gallery. The public and the press loved him, and that love affair has continued and grown now ten and a half years later. John’s passing leaves a tremendous hole in all of our hearts, but he will live on in the legacy he left us. Our memories of him and his work will feed our souls for the many days ahead. John Chervinsky is perhaps the biggest art/science inspirations in my life and a very dear friend. We met at Review Santa Fe in 2006 and became quick friends, traded works, and bounced around ideas online and whenever I could make it to Boston. I valued his constant readiness to challenge me and ask tough questions about the conceptual relevance of any work I was experimenting with, and then, in turn, seek the same reactions from me on his own new projects. His brilliant and calculatedly blunt insights always helped to steer me in a more interesting direction, while his warm encouragement gave me the confidence to work with complicated subject matter. John is the ultimate renaissance man, a truly brilliant artist, and scientist who shared his talent, generosity, humor and friendship with so many of us. 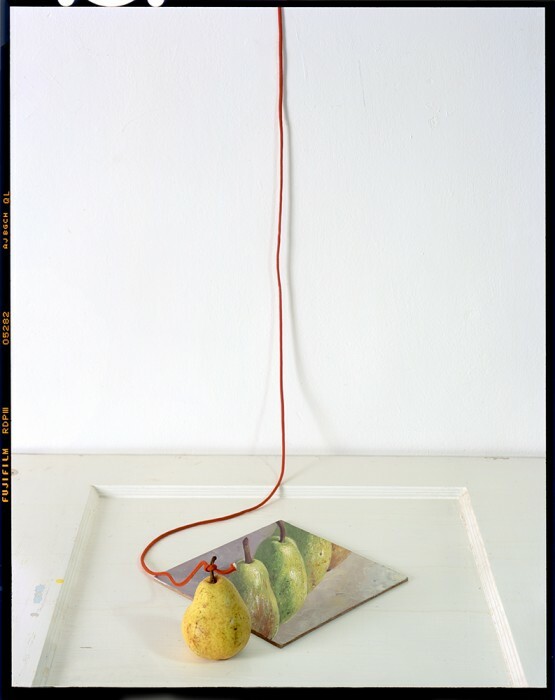 He may have largely operated in the realm of applied physics, but he always pondered paradoxical ideas and found that making artwork and inviting conversations with a larger community to also be a profound means of discovery. 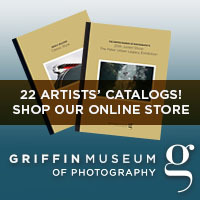 In the process, he inspired countless artists through his exquisite photography. As a matter of habit, I look at a photograph of his that is on my wall every day and feel the positive pressure to work a little bit harder and tread a more complicated path. I now know that John will always energize me to explore further, provoke me to be conceptually rigorous and to continue to thrive in the space where science, art, wonder and joy all collide. Next week I will make a pilgrimage to Wisconsin to see his beautiful work in the only photography exhibition we have shared and pay necessary respect to this great, inspiring man. John Chervinsky was the rarest of people. Inquisitive, talented and a generous soul. 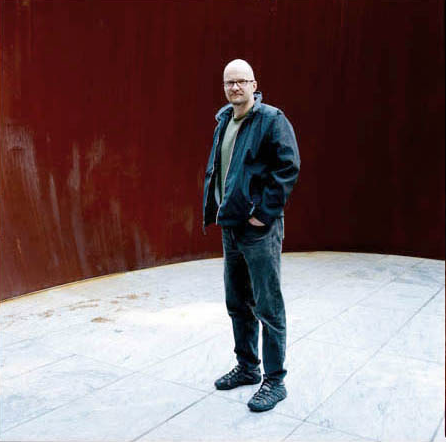 My heart is broken.His work engaged me at my core, the intersection between science and art, time, space and interpretation.It was an honor for me to support him for these past seven years, to see his work placed in a major institution, on a museum wall, and the cover of a catalogue. I believed in him; I believed in the power of his work. Personally, John was warm, engaging, committed to his friends, and much too humble about his talent. He lived every day with purpose exploring all that life had to give. For example, during the course of his illness, he was always there to help me understand his disease as it also ravaged a close mutual friend. His conversations were invaluable. John’s reach will be long lasting. It is forever in the memory of our connection, of the lives he touched. He leaves behind his artwork as a visual legacy and challenge to explore all that we are, all that we can be. I first met John at a Photolucida portfolio review in 2005. We were like photo nerd magnets, immediately drawn to each others work. At night, we stole away to a local dive bar and talked for hours about photography, Niagra Falls, and family. I couldn’t get enough of him. I wished he lived in Brooklyn instead of Boston, so I could meet up with him more often. But despite the distance, we always found time to meet. With John’s passing, I feel like I’ve lost my partner in photography. Our careers often mirrored each other whether it was exhibitions, technical issues or ideas that excited us. Whenever I would stumble or lose my way with my work, he would come back with great insights. John’s talent, humor, and character always shone like a beacon. I will look up at the stars tonight and imagine him up there, shining down on me. John Chervinsky truly left the world a better place. His creative endeavors bridged art and science, gifting us with a legacy that will forever remind us to see the world differently. He was a lovely person to work with and will be dearly missed. Our condolences go out to John’s friends and family. 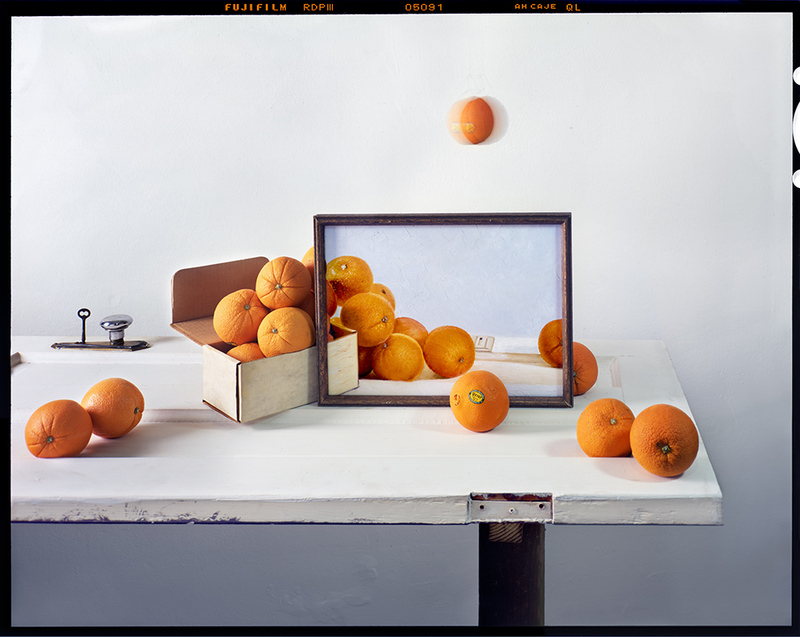 The first time I became aware of John Chervinsky was at Photolucida a couple of years before my business partner Elizabeth Corden and I opened our gallery. 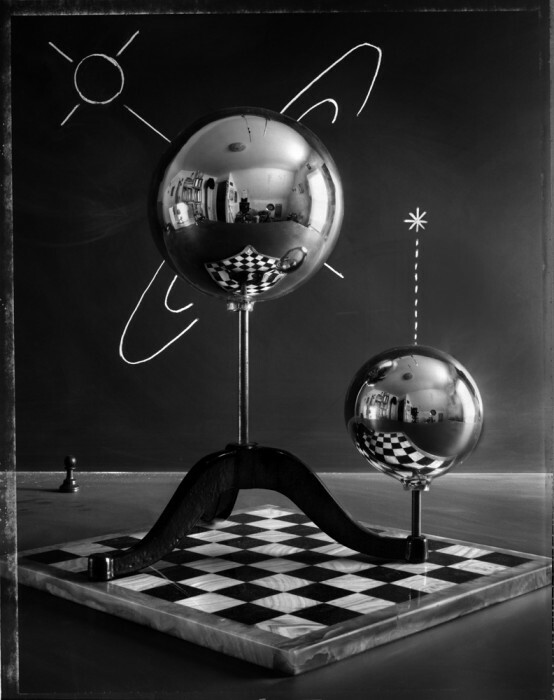 John’s images, from his An Experiment in Perspective series, were the talk of that year’s reviews with good reason: John’s vision was unique, combining his scientific inquisitiveness with his creativity. Though he was on our short list, John’s busy exhibition schedule meant that it wasn’t until 2013 that we were able to show his projects, which by that time included Studio Physics. Working with John was a dream—he was the consummate professional: organized, timely, you name it. His work generated much interest and long conversations among gallery visitors because it was so thought provoking. But the best thing about working with John was having an opportunity to get to know him and his wife Kirsten. Liz and I are heartsick at the terrible loss–both artistic and personal–that John’s premature death has caused. We send our sincere condolences to Kirsten, John’s family and friends as well as to all those who loved his incredible work. I know we’ll all continue to honor John’s work, which will live on as a great testament to his life. 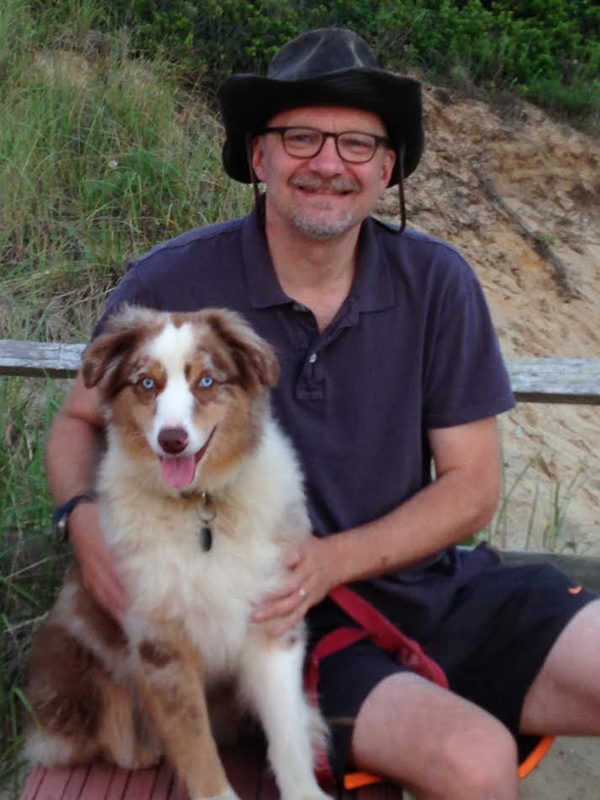 John and Kirsten’s house is around the corner from me, so I had the great fortune to run into John serendipitously while he was walking little Walter (his pup after Morgan) or sitting on his porch at the end of a day, enjoying a glass of red wine. Our ensuing conversations offered the same infinite pleasures as looking at his photographs. Who else could connect the richness of a Meatyard silver gelatin print with a billion years of the earth’s formation into understandable chunks of human experience? When I heard the sad news of John’s passing, my first instinct was to find solace in looking at his photographs. He is so palpably present in every one of his finely crafted images that I lose myself to his excitement at the potential for photographic expression to unlock the mysteries of meaning, and of life. I see John preserved in the reflection of the doorknob beneath the falling sands of an hourglass. I see a twinkle in his eye accompanying his warm smile, as he rises from his chair, no longer in pain and heads off to that great big studio among the stars to make more photographs. Rest easy my friend. 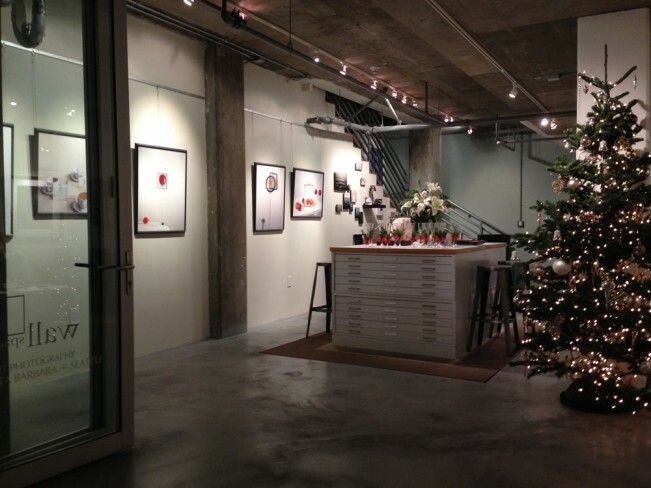 I first met John when he enrolled in Photography Atelier 2003. At that time classes met every two weeks for a full school year. The late Holly Smith Pedlosky, a great teacher and mentor, had designed the class a few years earlier. She and I, a student in her first Atelier in the nineties, co-taught the class (great mentor). I still remember John’s introduction to the group. He had long been interested in photography and, in part, as a tribute to a close friend and talented photographer, he decided to enroll. I believe he showed images by his friend as part of his introduction. The Atelier was and is designed to first encourage exploration, as Holly would say, “in order to communicate multivalent photographic ideas” and then develop goals for a final portfolio. While John produced interesting work for each early assignment, when it came time to identify his idea for a portfolio, nothing prepared us for the work that became “Landscapes and Portraits.” I believe this was John’s first project conceived and created in his attic. 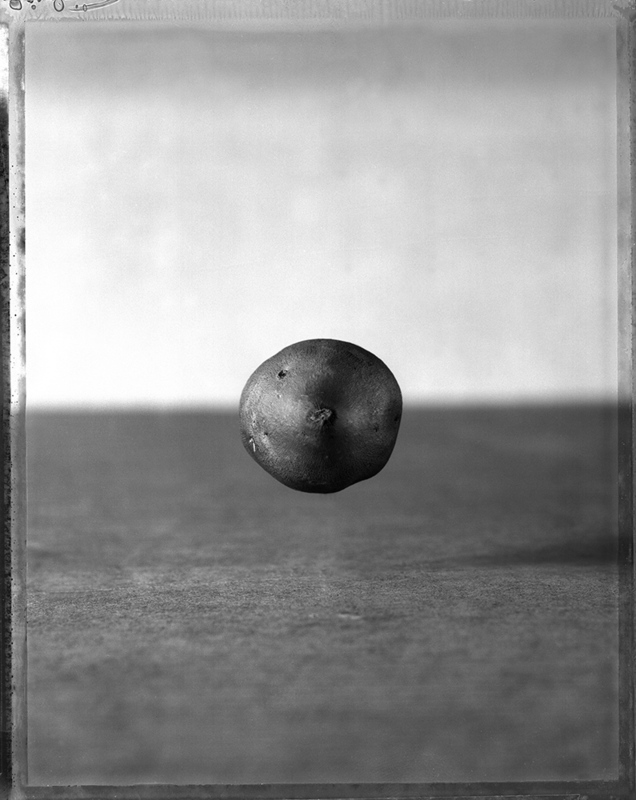 With a 4×5 camera, a few sweet potatoes and several weeks to shoot – as the sweet potatoes aged, mysterious images appeared that functioned both as landscapes and portraits – where “each image represents a point in the arc of human experience.” (JC) Class critiques and Holly’s insightful suggestions – especially with a view towards photographic history and the new world of inkjet printing – helped guide John in the production and editing of the work. John remained in touch with Holly, me and several members of the class as he reached out and grew in the world of fine art photography. Many years later when I had moved to Hudson NY and my husband and I opened Davis Orton Gallery, we had the great pleasure of exhibiting two of his series: “Studio Physics” and “An Experiment in Perspective.” When you visit his website, you will also find “Landscapes and Portraits” that are a testament to his incredible talent and, for me, a memory his first foray into fine art photography in Atelier 2003. Leslie K. Brown, independent curator, scholar, and educator pursuing her Ph.D. in Art History at Boston University. To borrow a phrase used after the passing of another photographer and leading light Gary Metz, there is a John Chervinsky shaped hole in the world today. 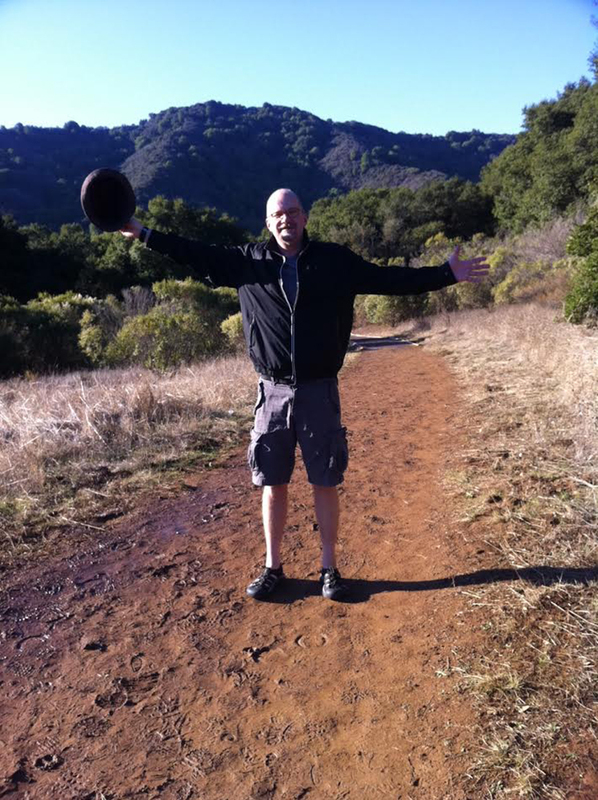 John’s personal compass was always dialed at the intersection of creativity and kindness, and everyone wanted to be in his orbit. Likewise, John’s being, work, and trajectory had an inner balance: purposeful logic combined with a whimsical sense of philosophical contradiction, a yin for every yang. 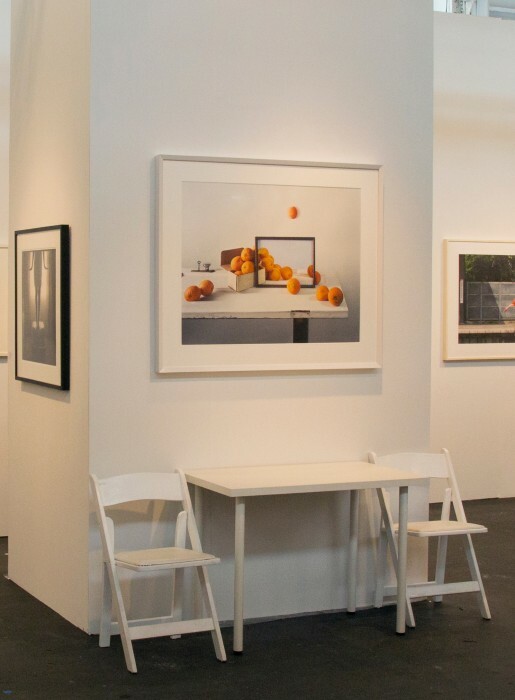 During my time at the Photographic Resource Center, I had the honor showing John’s work in EXPOSURE 2003, juried by PRC founder Chris Enos (ever the perfectionist, I recall him tweaking his prints until they were just right). John was also featured in the PRC’s 30th anniversary exhibition PRC|POV, nominated by Barbara Hitchcock; the PRC’s Print Program, and the first artist shown in a PRC/MIT joint program at their Center for Theoretical Physics. 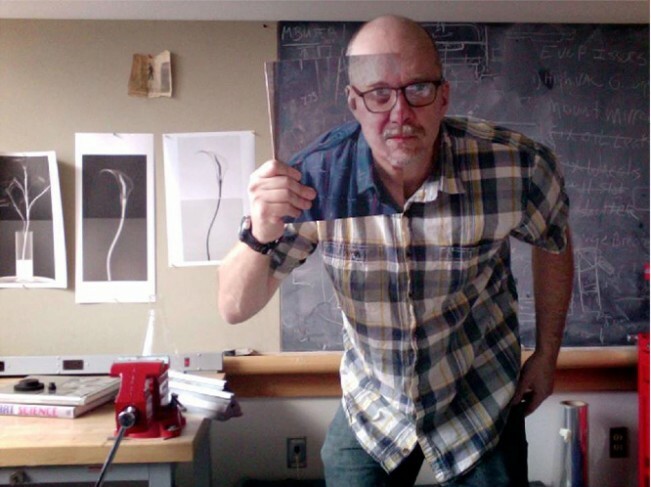 Later, John invited me to write an introductory essay for his artist book, “An Experiment in Perspective,” in which I explored themes of duality in his work. A polymath by nature, John shared affinities with early scientists and photographic practitioners, speaking to larger questions with a broad appeal. After exhibiting his work, we became fast friends, and John invited us into his world. 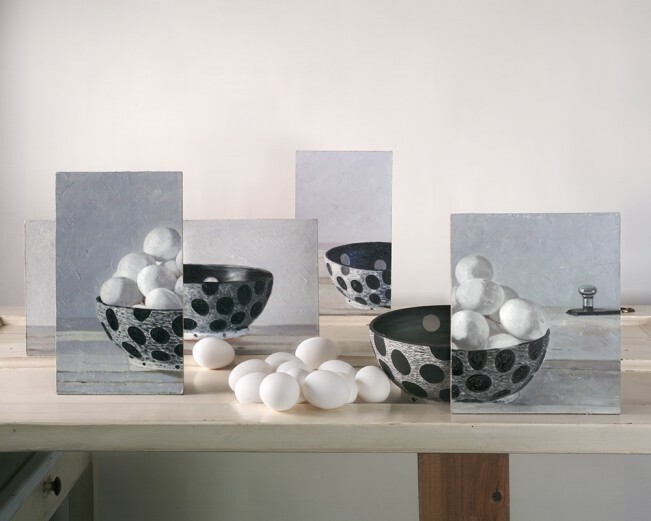 Whether at work or home, John’s spaces were as crafted and curious as his still-lifes: fascinating interiors filled with a vast assortment of things, bric-a-brac, and artwork. Items at his workplace, The Rowland Institute at Harvard founded by Polaroid’s Edwin Land, for example, made their way home or vice versa: Land’s speakers played eccentric bands, polka music, or jazz and a stored hand-built crate served as the traveling vessel for his solo show. Now, the paradox continues: my heart is broken, and thoughts go out to his wonderful wife Kirsten, family and friends, and beloved dog Little Walter, while at the same time I am deeply grateful that we have his incredible work and legacy. Thank you, John, for sharing your photographic gifts, enigmatic mind, and beautiful soul with the world. 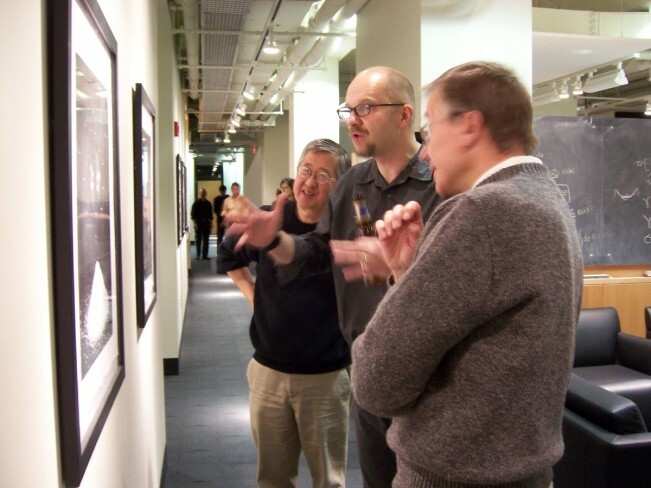 This photograph captures John Chervinsky’s nature for me: excitedly explaining his work to MIT physics professors, surrounded by chalkboards, with a beer in hand. 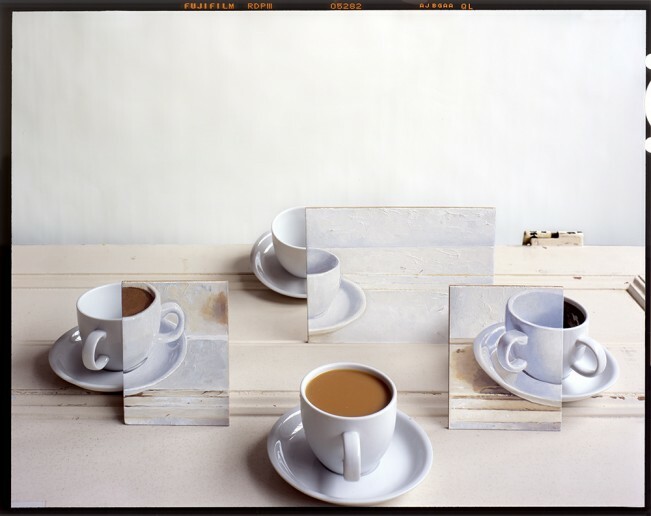 John’s solo show, “The Conceptual Still Lifes of John Chervinsky” (2007-2008), was a part of a joint photographic exhibition program by PRC/MIT in MIT’s Center for Theoretical Physics’s then new space, organized by Jim Fitts and Robert Jaffe. 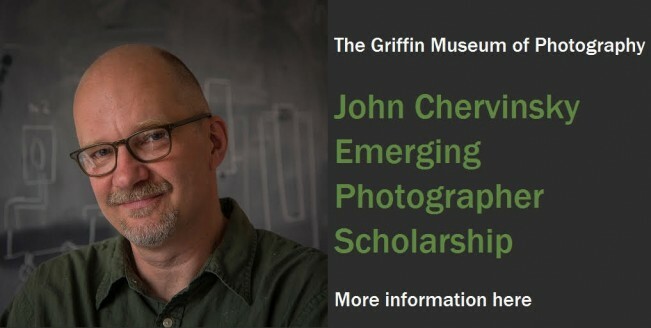 As part of John’s legacy, the Griffin Museum of Photography is offering the John Chervinsky Emerging Photographer Scholarship. Donations are most welcome. 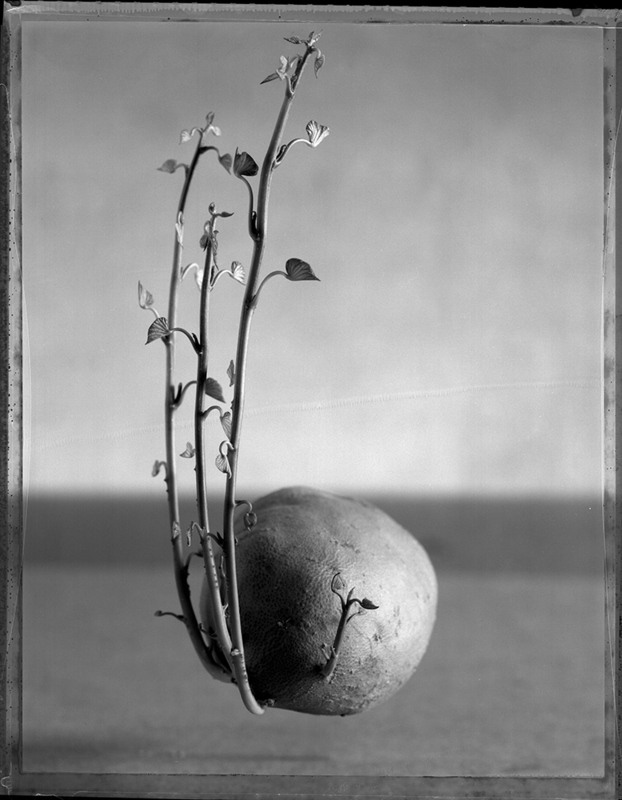 We thank you for considering making a contribution to the John Chervinsky Emerging Photographer Scholarship Fund. In doing so, you honor John’s memory by making it possible for others to continue his work of tirelessly questioning the world around us.